Two of the most popular colour trends of the moment, Balayage and Ombré, are available at Maddalena’s. These are complex looks that cannot be achieved at home; they need the experience of one of our qualified colourists, who are specifically trained to provide these treatments. You’ll be in great hands with our experienced head stylist and her team. Balayage is a French term meaning ‘to sweep’ and involves painting the dye onto the hair to achieve a natural, sun-kissed look. It looks gorgeous on blondes, brunettes and redheads alike – we can match your natural tones to the Balayage tones to achieve a gorgeously soft look. Ombré hair is also taking Britain by storm, and looks particularly gorgeous when metallic tones are used. We can provide even more daring looks though, with some ladies requesting bright colours, lilacs and rainbow shades. For a more neat, consistent look, highlights are a great option. 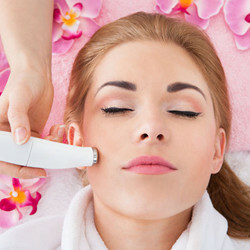 Again, these will be paired with your natural or current hair colour so they’re complementary. 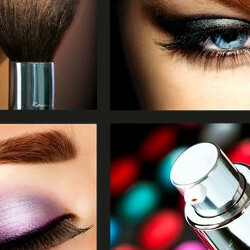 Caramels, cool browns and blondes are some of the most popular choices. We use Matrix’s SOCOLOUR range of professional products to achieve all of these looks, as well as conditioning and replenishing treatments. 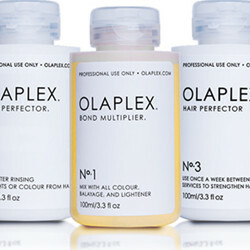 For lighter colours, we also use Olaplex Bleach which is formulated to reduce breakage. Your hair will be soft, healthy and glossy with colour. Book your Balayage, ombré or highlights with us today – prices on request.